BTS is an official partner of Oracle NetSuite since 2009 and we are the first ones who started operating on the Bulgarian market – our first implementation of NetSuite in Bulgaria had its Go-Live in 2011. We are authorized reseller of the Oracle NetSuite products and their implementation partner for Eastern Europe. In 2016 we joined the NetSuite’s SuiteCloud Developer Network (SDN) and now we are the only official SDN partner for Bulgaria and Romania VAT Localization SuiteApps. As official Sales and SDN (SuiteCloud Developer Network) partner of Oracle NetSuite we have successfully implemented the product in companies that operate in Bulgaria, Romania, Hungary, United Kingdom and USA. Our ‘Built for NetSuite’ localization modules were implemented in companies that were using the software in Bulgaria and Romania. With extensive years of experience in implementing NetSuite in companies across the world, BTS have built a very diverse portfolio of services that we can offer. 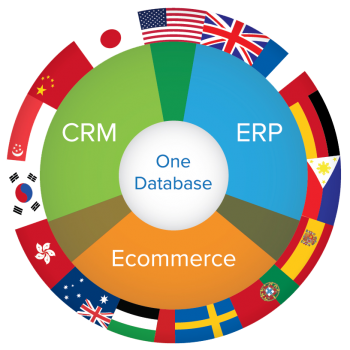 We are specialists in implementation of the NetSuite products, including but not limited to: ERP, CRM, E-commerce, Other. Automate business processes to increase productivity. Provide better reporting. Maximize the benefits of your software. Oracle NetSuite are a global web-based software supplier head quartered in San Mateo, California, USA – in the heart of the Silicon Valley. 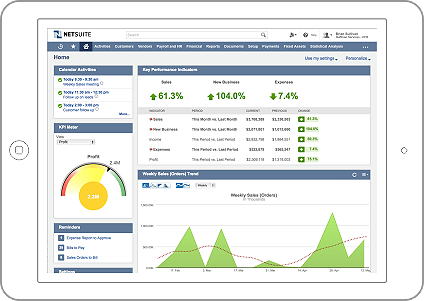 The NetSuite application is a powerful software solution which delivers exceptional ERP, CRM, PSA and E-commerce capabilities. 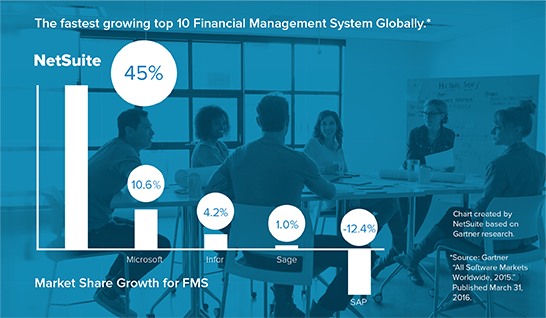 As a world’s leading provider of cloud-based business management software, trusted by more than 40 000 organizations, NetSuite helps companies improve their business processes with a single, fully integrated system. NetSuite has won more than 90 awards from industry groups for its products, innovation, leadership and corporate culture.